Ever since I can remember, I have been fascinated by coincidences. Growing up in a secular family, I wondered why I met certain people on the street. What if I had taken a different route? Would I have met somebody else? Would I have received different news? Those were the days when news came face-to-face, not via Facebook. As I gained a spiritual perspective, I realized that coincidences are part of God’s Providence. He sets kings up, He removes them. He takes care of the sparrow. He knows my name and the street on which I live. Yes, I believe God is personal. I am no agnostic. Five years ago, I was wrestling with, “To homeschool or not to homeschool?” That was the question. I decided to homeschool. The rest was not just history. 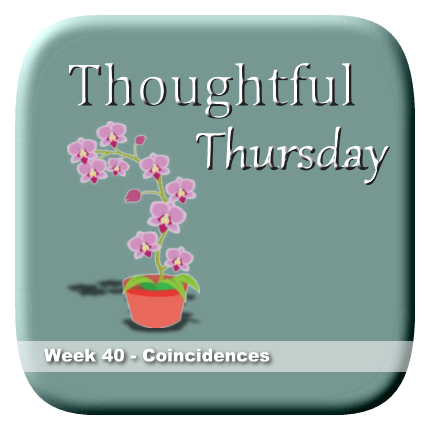 It was a series of coincidences that simply blew me away. They keep on coming, too. It’s like once I aligned myself with God’s will and purpose for my life, things fell into place like a puzzle. Every time. There was the time when I decided to get more curriculum from Peace Hill Press and, the following week, this homeschooling mom, out of the blue, decided to just give me $200 worth of brand new, never before used Peace Hill Press curriculum she was not going to use anymore. There was the time when I scheduled our weekly trips to the Adventurer Club – one hour away from home and then wondered if it was the right decision, i.e. drive for two hours only to be somewhere for 90 minutes. The following week, I got an email about another activity I could schedule in that city on the same day. I even had the right amount of commute time in between.